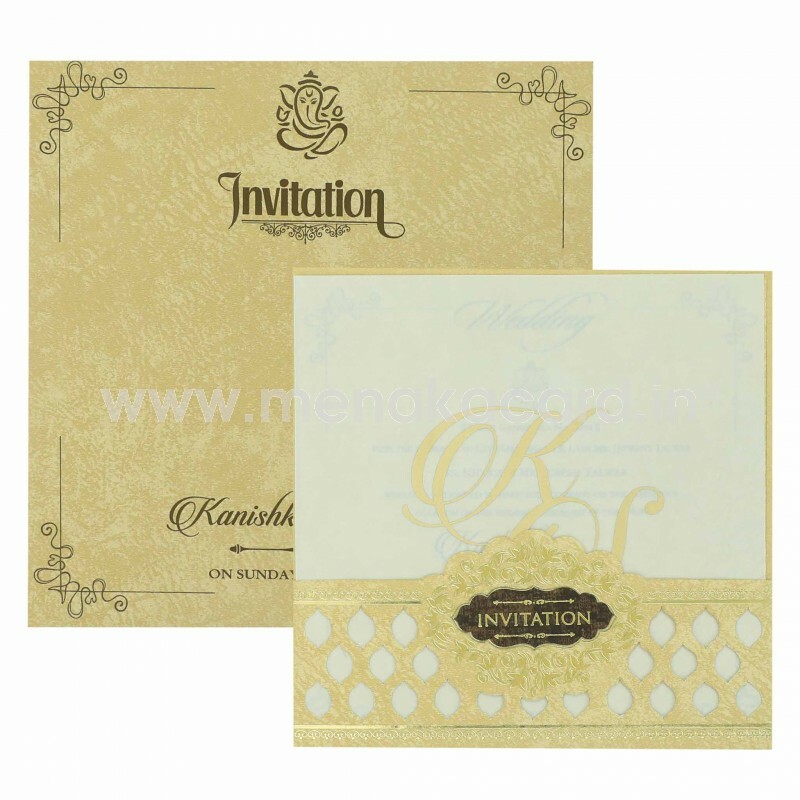 This stylish dark cream pouch model card has a beautiful die-cut front pouch with bold diamond border strip with gold foil filigree below a floral frame containing the text "Invitation" on a chocolate brown badge. 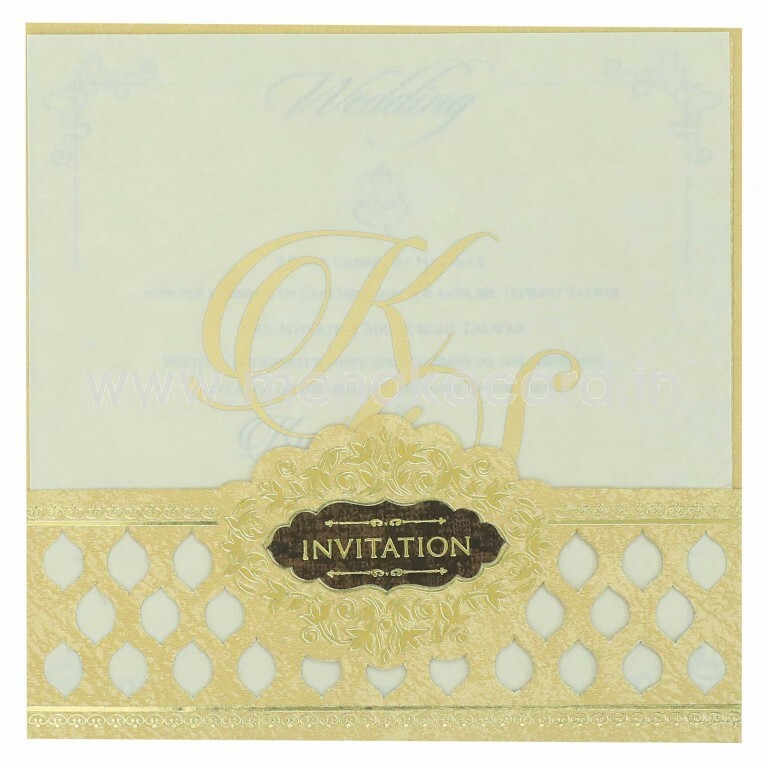 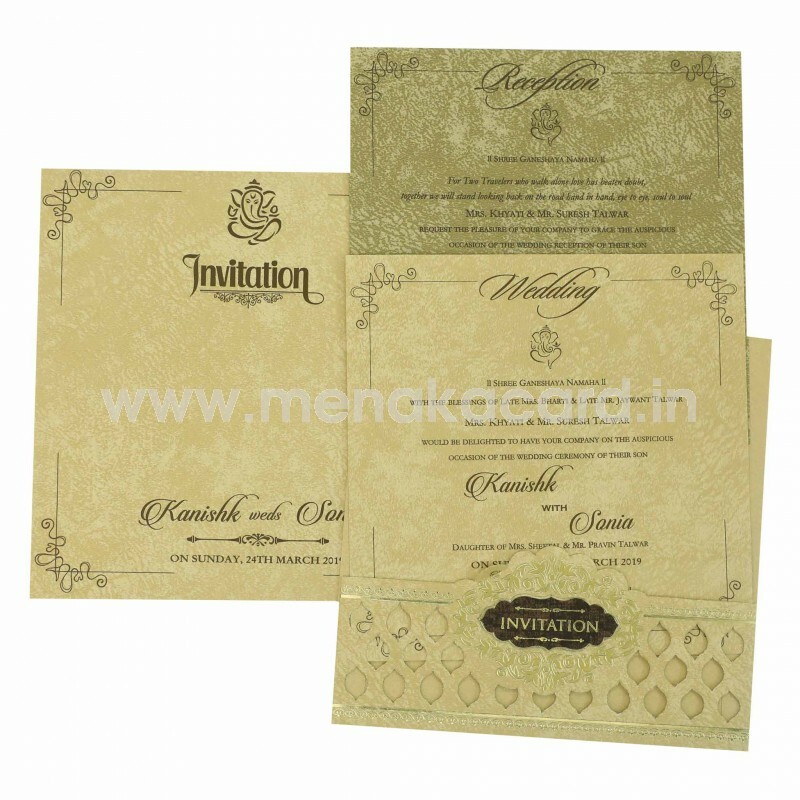 The insert is topped by a semi transparent material with the initials of the couple in stylised gold font. The inserts are made from a cream matt finish board with contrasting text. 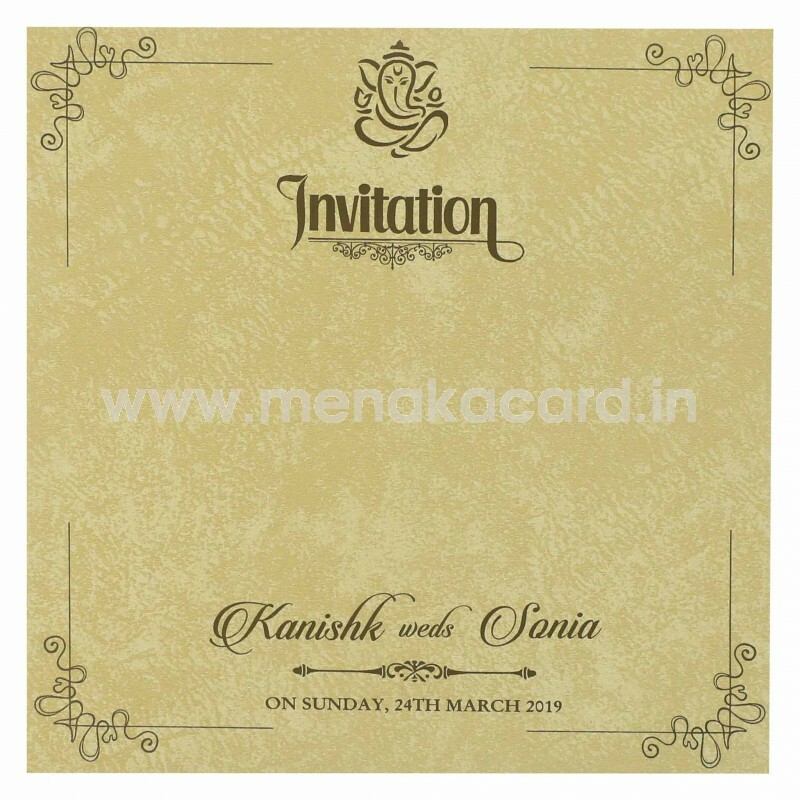 This is generally used for personal invitations to friends and colleagues but can also be used for weddings, engagements, receptions etc.